SEE OUR NEW 2019 BROCHURE! 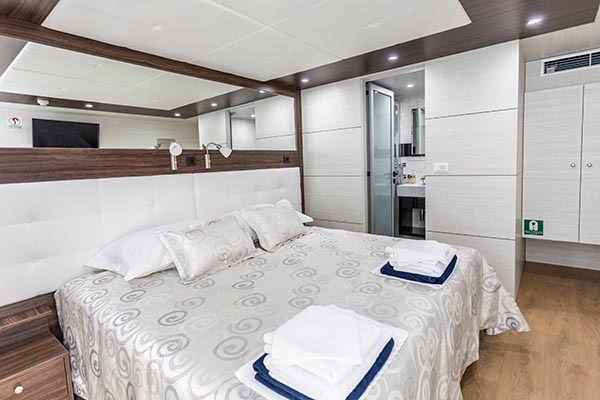 The vessel is classified as a deluxe 5* category, and was completely re-built in 2017 with the latest state-of-the-art equipment and amenities. 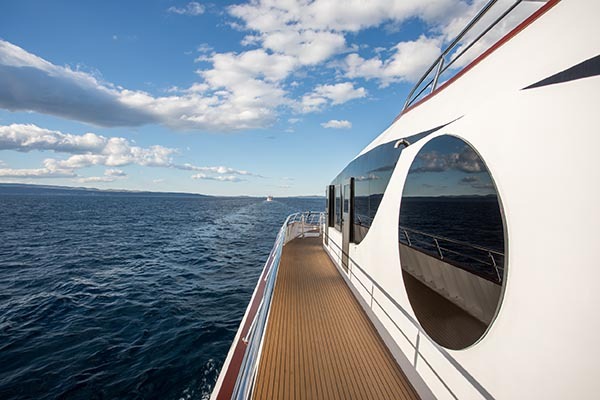 It is 115 ft long, 36 ft wide, with a cruising speed of 10 NM. 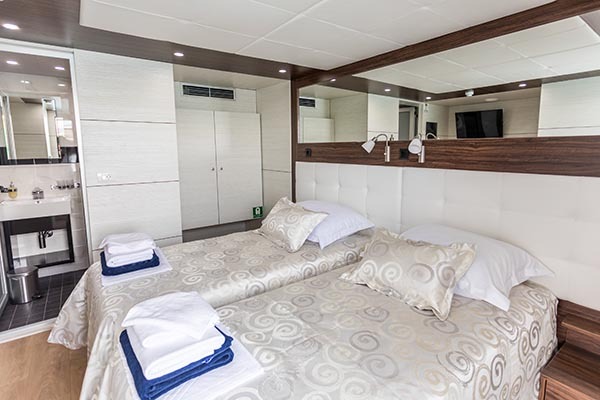 Her maximum capacity is 30 passengers in 15 cabins, all fully air-conditioned, with queen-size (7) or twin beds (8), cupboard, cabinet and window or porthole, bathroom with shower, toilette and wash basin. Cabin sizes vary between 140 sq ft and 172 sq ft. There is free wireless internet access (Wi-Fi)where available. 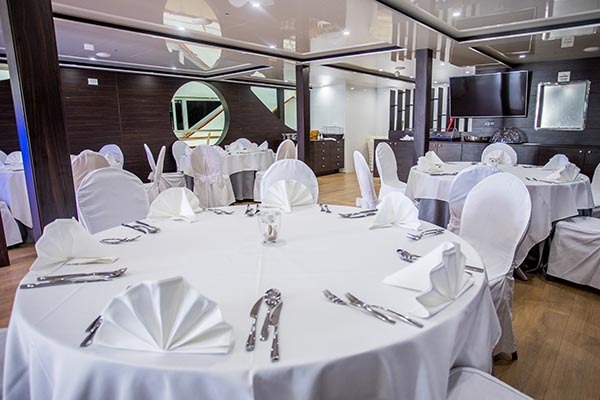 The ship features a fully air-conditioned salon, restaurant with bar and a large LCD TV. 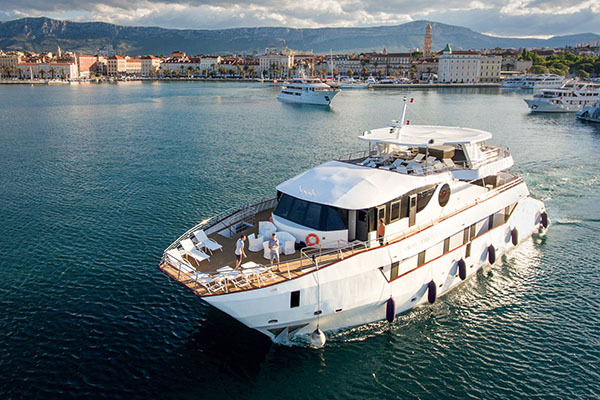 The oversized sun deck has a jacuzzi fitting up to 6 people with a sun-shade cover and deck-beds for all passengers. 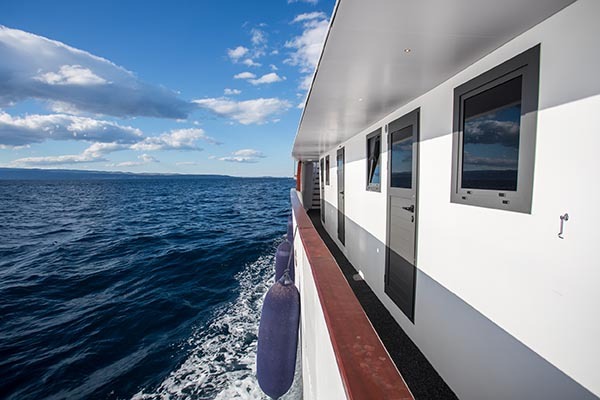 The ship has a rear access platform to the sea as well as ladders for easy access to the water. Electricity on board: 220V. 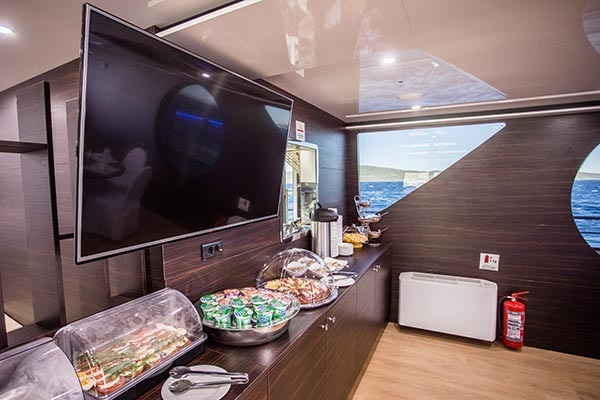 With its unique catamaran style twin hulls, it is currently the only vessel of it size and class that can sail at night the full length of the Adriatic thus enabling more daily stops and visits to more ports of call. 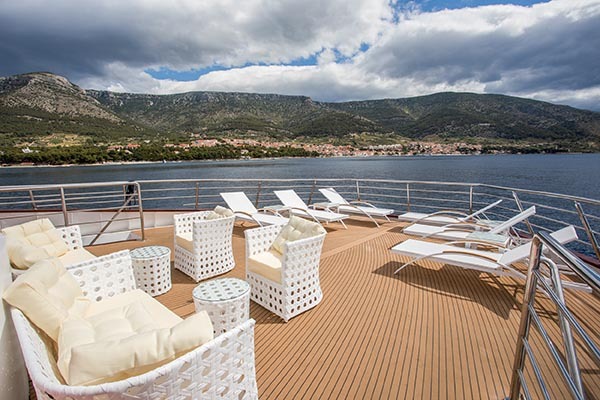 A young and enthusiastic crew of 7 + a cruise manager ensure that you will have a trip of a lifetime! 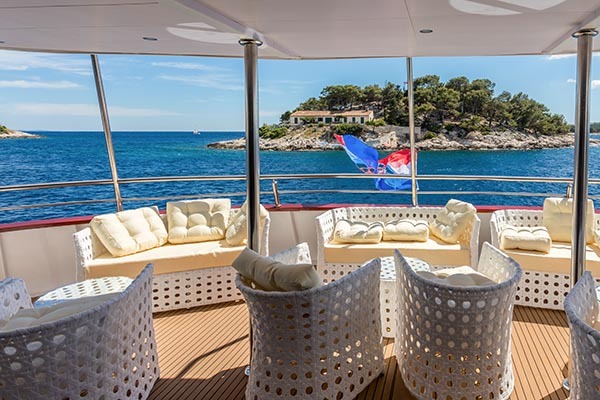 Dobro Dosli – Welcome Aboard! Copyright © 2019, Value World Cruises, Inc.